We survived another hot Brisbane summer and we have a few weeks before the chill of winter kicks in. Autumn is the perfect time to maintain your air-conditioners! Air conditioners, like all appliances, need regular maintenance to work at peak performance. If key parts of an air conditioner become clogged with hair, dust, pollen and fluff, then the machine has to work that much harder to heat or cool the room. This means higher energy bills. A poorly maintained air conditioner can add between 5-20% to your energy costs. Air-conditioner Maintenance – How Often Should It Be Done? 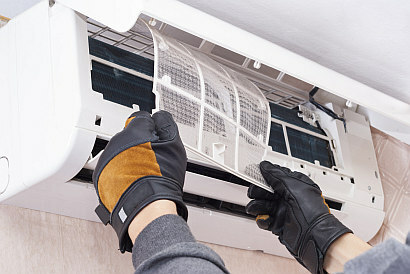 In most parts of Brisbane, annual air conditioner maintenance is all that is needed. A thorough clean and check by an expert once a year will give you years of trouble free use. If you are in a high dust area near a quarry, have a lot of long haired people or pets living in the house, or have smokers who smoke inside the house, then you may need to book more frequent maintenance calls. While deep cleaning and maintenance of your air conditioner is an annual thing, you still need to conduct your own more frequent clean of your filters. HEPA filters need cleaning every 1-2 months and electrostatic or electronic filters every 3-6 months. Tradesmen on Time offer residential air conditioning maintenance for Brisbane homes. Filters – Filters are one of the hardest working parts of your air conditioner, and have the greatest impact on energy use. We thoroughly clean your air conditioner filters and advise on replacements if needed. Coils – Evaporator and condenser coils collect dirt and dust, and can become clogged. This reduces airflow and the ability to heat/cool. We clean down your condenser coils from built up grime. 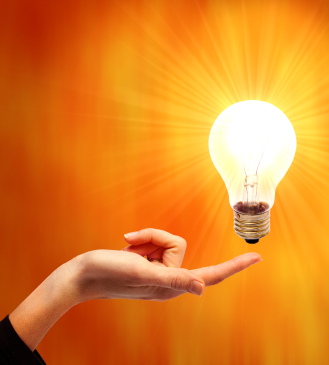 We believe in no surprises with all of our electrical repair and maintenance work. Our standard air conditioner maintenance costs $99 including GST for your first air conditioner and $66 including GST for your second and subsequent air conditioners for residential homes. Bonus: Every air conditioner maintenance call includes a free electrical safety audit of your home while we are there. Book in your air conditioning maintenance service today and be ready for the chilly nights and cool days. Book your air-conditioner maintenance service now!